We are pleased to announce a video presentation of the conversation between George Katsiaficas, the author of two volumes on Asia’s Unknown Uprisings and Basil Fernando of the Asian Human Rights Commission. 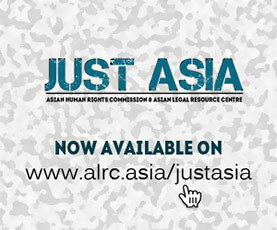 The video was produced on behalf of the Asian Human Rights Commission by Ms. Josefina Bergsten. The first volume of Asia’s Unknown Uprisings is on the South Korean social movements in the 20th Century (435 pages). The book covers a series of social movements in South Korea culminating in the Kwangju Uprising of 1980. There are separate chapters on the Jeju uprising and the Yeoson insurrection, the Finjung awakening and the struggles of the student movements. The book covers the Kwangju peoples’ uprising at great length. It provides detailed accounts of the Kwangju people’s resistance against the military takeover. The citizens held the city for several days and this situation is compared by George Katsiaficas with the historic Paris Commune. 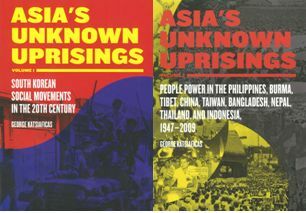 Volume two of Asia’s Unknown Uprisings covers the people’s power uprising which overthrew the Marcos dictatorship in the Philippines, the 1988 uprising in Burma against General U Ne Win and uprisings in Tibet, China, Taiwan, Bangladesh, Nepal, Thailand and Indonesia. In conversation with Basil Fernando, George Katsiaficas discusses these uprisings and their significance in understanding modern Asia as well as changes that are taking place in the world as a whole. Katsiaficas observes that these tremendously important social movements and uprisings have not received the attention they deserve. Particularly, western academic circles whose world views are based on Euro centrism, have failed to recognise what has been happening in the rest of the world. He notes that the Kwangju uprising in many ways is even more significant that the historic Paris Commune given the extent of the peoples participation and direct democracy that prevailed during the uprising.